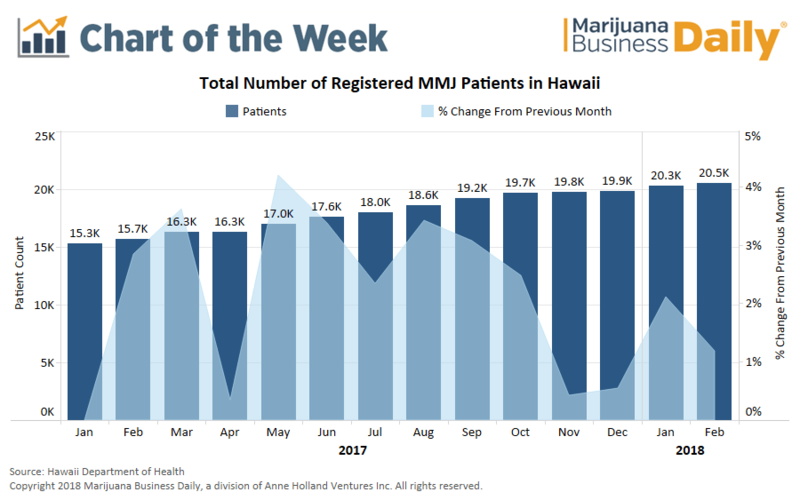 Hawaii’s medical marijuana patient count continued to climb through 2017, as the program expanded its list of qualifying conditions and allowed dispensaries to finally open their doors. The MMJ patient count jumped 33% in 2017, but that growth was relatively even throughout the year. Month-over-month growth averaged 2%, consistent with data from previous years. The strongest growth, 4.2%, occurred in May 2017. 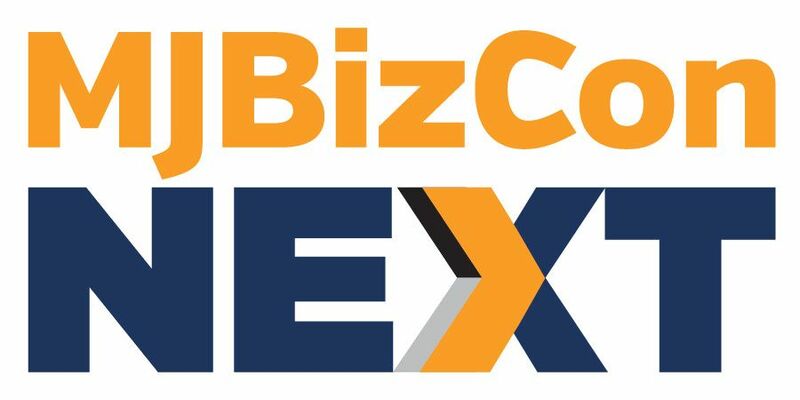 Total registered patients surpassed 20,000 in January 2018 – well ahead of early estimates by Marijuana Business Daily. That’s healthy growth for a market where MMJ has been legal since 2000. Hawaii added amyotrophic lateral sclerosis (ALS, aka Lou Gehrig’s Disease) to the list of qualifying conditions in December 2017, bringing the number of conditions to 11. Medical cannabis was available only through home grows or caregiver programs for the first 17 years of the program. But that changed in August 2017 when the first dispensaries opened. The launch of legal sales was expected to provide a boost to patient numbers because of increased accessibility to medical cannabis. But it didn’t appear to move the needle much for new registrations. That may stem in large part from Hawaii’s patient community already being “highly engaged” and actively participating for well over a decade. Patient count under the caregiver and home-grow program exceeded 15,000 by the end of 2016. Dispensaries tend to sell product at a higher price than what patients can get on the black market or through caregivers, so the benefits will have to be significant to convince existing patients to make the move. The state eventually plans to offer reciprocity for MMJ cardholders from other states. The article does not mention that the roll out of the dispensary system has been glacial in speed and most of the state doesn’t have a open dispensary to use if they wanted. Hawaii for all its laidback reputation is very conservative and has made a science of slow walking almost everything that might change the status quo. It will be ironic but not surprising if in the end they have a system that is too expensive for the average citizen to use. Perhaps there are strains being perfected to comfort the pain of guilt ridden investment bankers and trust fund types. Well said, but, there are no guilt ridden investment bankers…GOD is the color of green. There are three medical dispensaries open on Oahu; Aloha Green, Noa Botanicals, and The Cure. There are two dispensaries open on Maui; Maui Grown Therapies and Pono Life Sciences. And on Kauai Green Aloha (dab Have a Heart) is Kauai’s licensed medical dispensary. I’m not sure what island John lives on but only the Big Island is lacking a medical dispensary open for business. Most medical marijuana patients in Hawaii do have access to a dispensary.